Burt & Associates, a commercial collection agency based in Plano, TX, just unveiled their new Web site design. The new design features a more professional appearance, a free downloadable report covering the top mistakes made by businesses in the collections process, and easier access to get a quote for services. Burt & Associates CEO Jerry Curtis said he doesn't like the recession but the fact remains: it's good for business. "I've been through several economic downturns, but this is unbelievable. We're seeing companies that have never had trouble collecting money before coming to us asking for help," Curtis said. "The fact is, companies that owe money aren't getting paid by the companies that owe them. It's the worst cash crunch the collection industry has ever seen." We know that sometimes it may be necessary to contract with a collection agency to help collect past due accounts. While in general it is useful to resort to a commercial collection agency when a debt falls 90 or 120 days past due, some companies may want to consider an outside agency as early as 60 days past due. But since collection agencies may charge a commission on delinquent debt, it is essential to use an agency that is effective. You should not only consider a collection agency’s references and experience but you should also request a risk score like used by Burt and Associates in the collection process. "I really think this new look will help our prospects find what they're looking for faster," says Curtis. "They all have primary concerns about using an collection agency to help them collect money, and our new Web site really talks to those concerns and gives them the answers they need," Curtis continued. According to the Commercial Collection Agency Association, which Burt & Associates is a member of, business bankruptcy filings are up 41.6 % compared to June 2007. This means that business accounts will be harder & harder to collect on, as more businesses struggle in this economical climate. For that reason, a report such as the one offered on the Burt & Associates Web site might be helpful in directing a business manager on how to modify the collection practices to be more effective. 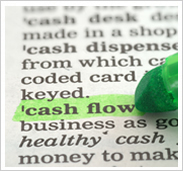 We are committed to business, when we put a lot of effort providing you with a Debt Collection Blog providing your valuable information from how to manage account receivables to how to improve your cash flow.